No matter what you think of Apple, it is a hard fact that this US company releases some of the most interesting hardware devices on the market. The latest Apple Mac Pro computer is a prime example – the device came in an unusual case that definitely attracted a lot of attention with its extraordinary and futuristic looks. There’s no need to say that the new Apple Mac Pro looks awesome, don’t you think? The only problem with this case was that if you wanted to have it, you had to purchase the latest Mac Pro. Well, not anymore – now you can have this unusual chassis thanks to the efforts of Alexander Gomez who is a designer that has created an exact copy of the Mac Pro case. The newly designed PC chassis is called Dune Case and measures 260 x 215 x 215 mm, weighing 2.6 kilograms. Available in rose gold and black, the case is made entirely of aluminum. 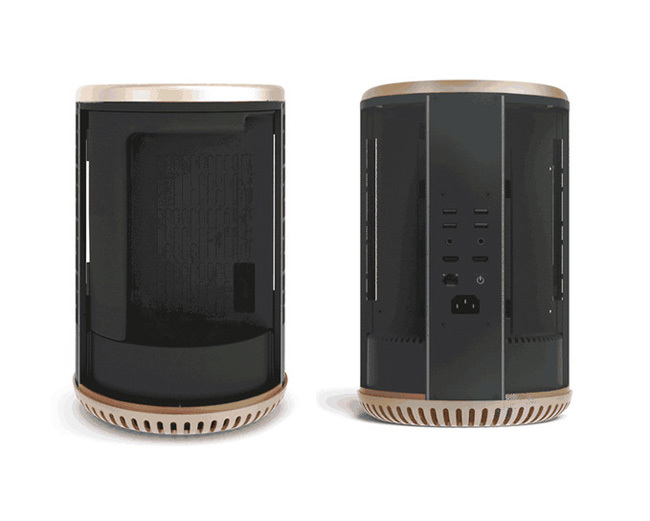 The Dune Pro, however, differs some from the Mac Pro’s chassis. It takes a completely new approach, compared to the Mac Pro. 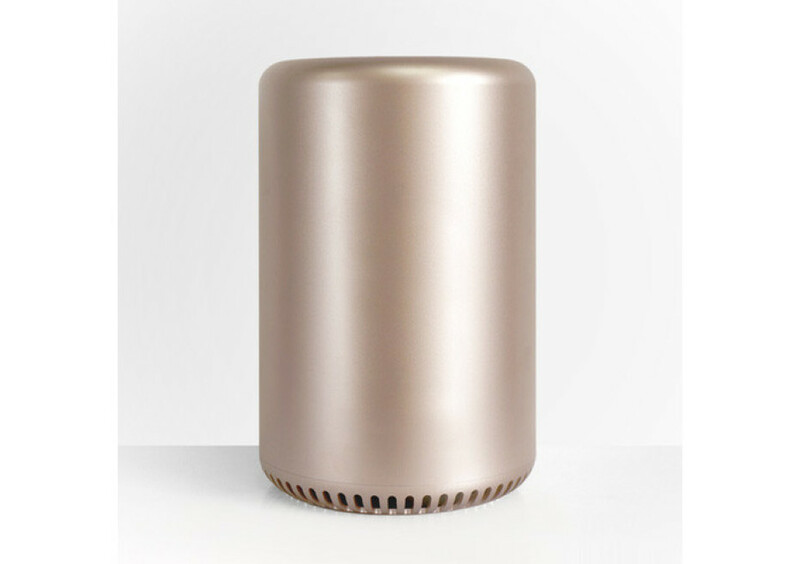 While the Mac Pro features a cylindrical design with key components arranged along three sides of a triangular structure, while cooling sits in the middle, the Dune Case has a different idea behind. The case is split into three compartments that are situated vertically along the bore of the cylinder and in the middle the chassis houses a mini-ITX motherboard, while the two remaining compartments house a full-height video card (that must be up to 185 mm long) and two 2.5-inch hard drives. In the back the Dune Case uses a custom rear panel that plugs into the motherboard and all this hardware gets powered by an additional 450W SFX power supply unit, which, sadly, does not come in the package. A 140 mm fan cools the hardware inside in case you wonder. The Dune Case is currently on Kickstarter where Alexander Gomez needs USD 130 000 to take this nice chassis to stores. The project will be running for 7 more days and if Mr. Gomez does not get all the money he needs, the Dune Case may never see the light of day.